Hospitality on the Subcontinent is synonymous with grand suites in sumptuous Mughal palaces, luxurious resorts on palm-scattered shores and exclusive boutique hotels in lovingly restored heritage homes. But there’s a less conventional option. 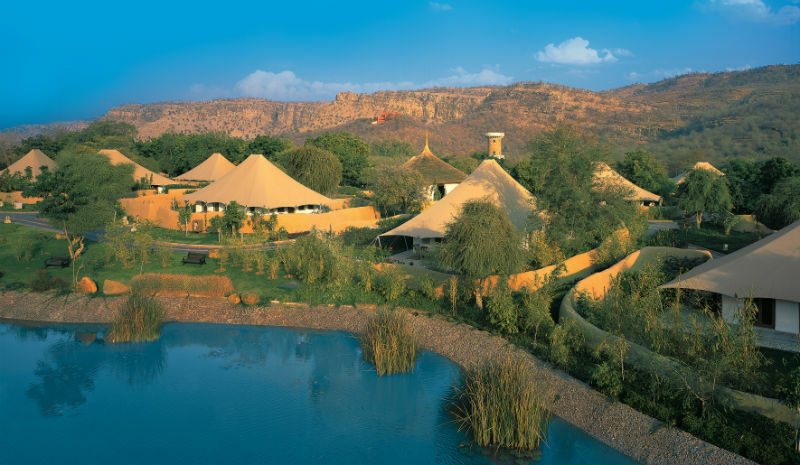 India’s growing portfolio of luxury tented camps are artfully erected in the wild, their light ecological touch enabling a spectacular proximity to nature. 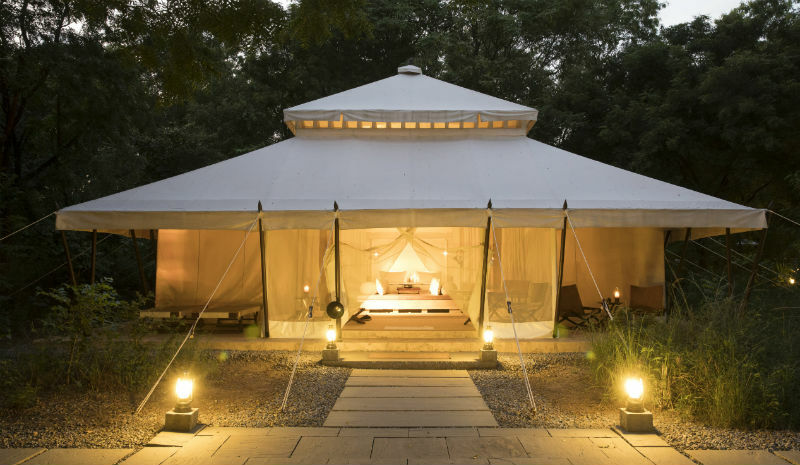 Combining serious luxury with unbridled wilderness, here are six of the best luxury tented camps in India. 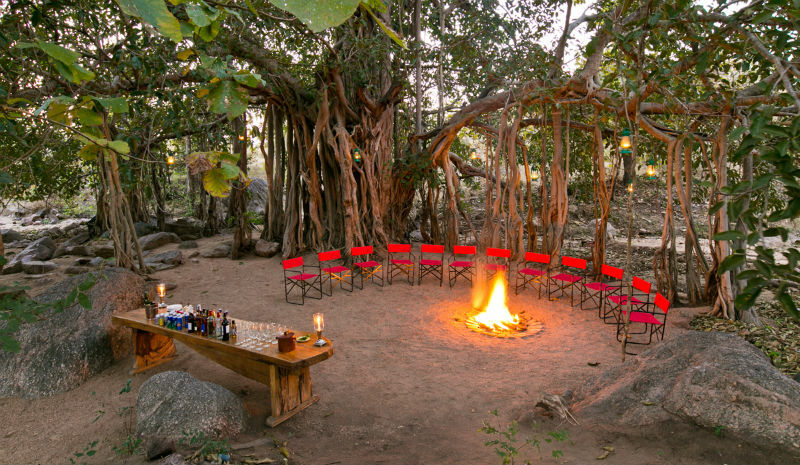 Days at Jamtara Wilderness Camp are rounded off with sundowners around a camp fire, swapping tiger-spotting anecdotes—and with 53 of the big cats in neighbouring Pench National Park, there is plenty to share. There’s no television, wifi or mobile signal here, and the tranquillity soaks through. Once tucked up under the mosquito gauze, the distant rumbles and chirps of the moonlit jungle are a melodic finale to a day spent in the deep wild. A satisfying clink of ice followed by the trickle of gin and the gush of tonic is the undeniable sound of aperitifs being poured beside Shergarh’s spring-fed lake. Beyond this, silence, punctuated by the occasional cough of a leopard prowling through Kanha National Park. 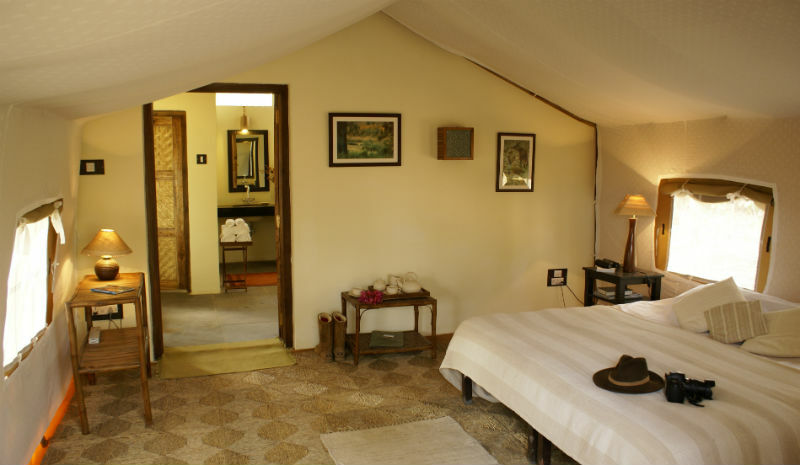 One of India’s most intimate luxury tented camps, this family-run lodge has six charming en-suite tents and a fiercely eco-conscious ethos. Aside from the palatial four-poster beds, luxury teak-clad en-suite bathrooms and spectacular setting beneath Thiksey Monastery in Ladakh, it’s really the 24/7 on-call butler that elevates The Ultimate Travelling Camp’s Chamba Camp Thiksey to unrivalled levels of luxury. Venture further into Ladakh’s extraordinary stark mountainscapes to discover Chamba Camp Diskit. As beautifully appointed as its southern sibling, it’s a privileged opportunity to experience the enchanting heart of India’s far north. Ranthambhore National Park is the most renowned of its kind in India, home to an increasing number of tigers—85 at the current count. Aman-i-Khás’ proximity to the park is certainly a draw, but it is by no means the only one. 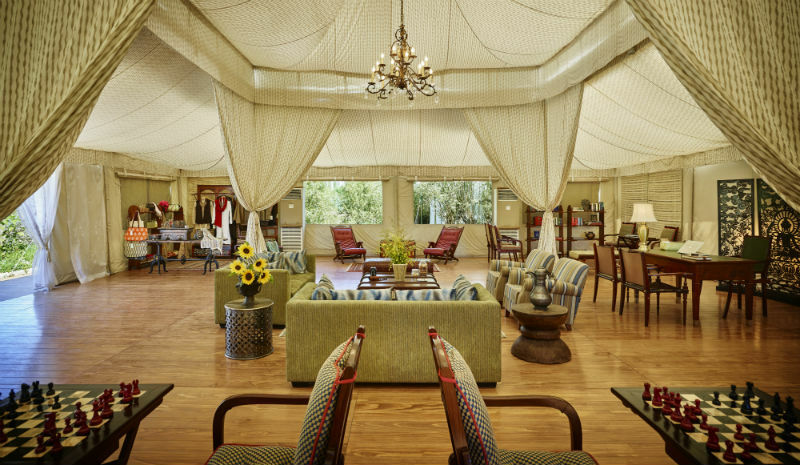 The camp’s 10 palatial air-conditioned tents are redolent of grand Mughal pavilions, draped in dreamy swathes of cotton dividing the space into separate sleeping, bathing and dressing areas. 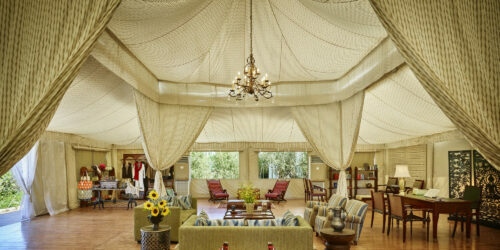 Within 10 minutes of Ranthambhore National Park is the sumptuous sprawl of Oberoi Vanyavilas. Here, a broad scattering of cottages reveal tasteful interiors complete with four-poster beds, standalone baths and luxurious furnishings. The canvas roofs keep the interiors cool, and there’s a glittering cerulean swimming pool for a refreshing dip when the midday heat builds. 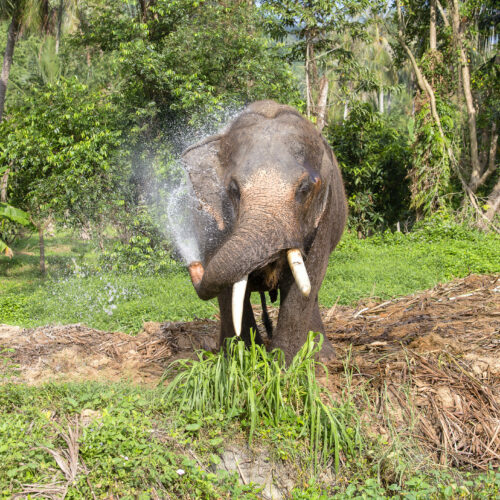 Once back from the evening safari, head up to the balmy observation deck for a flute of Champagne and watch the night settle over the jungle-swathed hills. 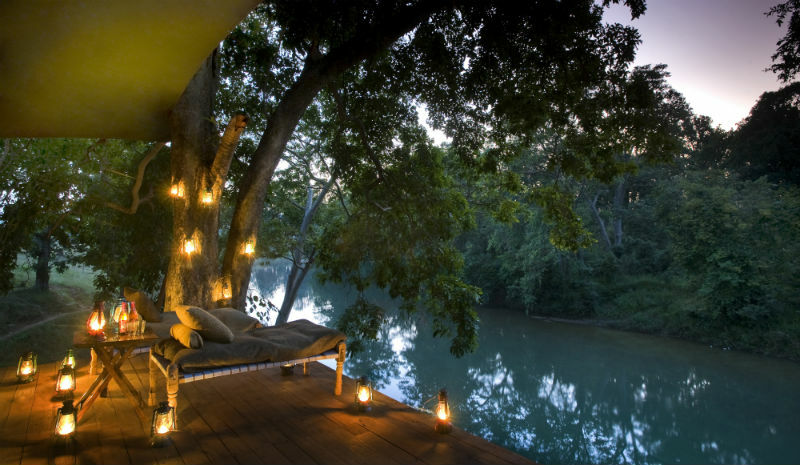 An exclusive archipelago of 18 tented suites gaze coolly out at the slow glide of the Banjaar River, and Kanha National Park beyond. Banjaar Tola’s emphasis is on privacy. 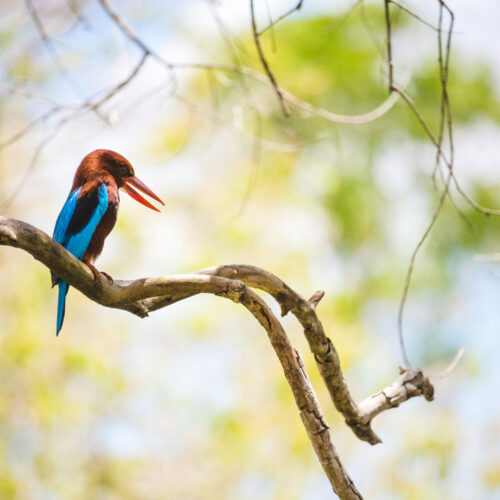 From freshly plunged morning coffee delivered to a discreet butler hatch ahead of the morning safari drive, to aperitifs served on the tent’s private bamboo patio shaded by the surrounding forest, there’s no intrusion—apart from the vervets rustling and chattering through the canopy above.